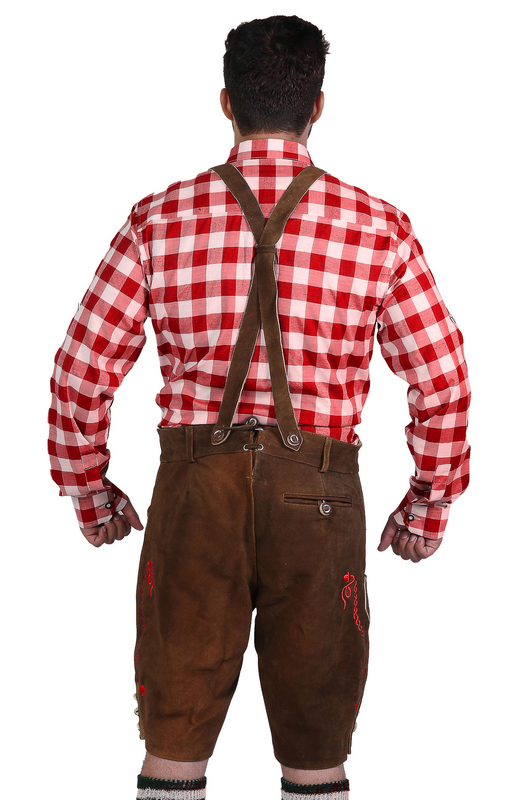 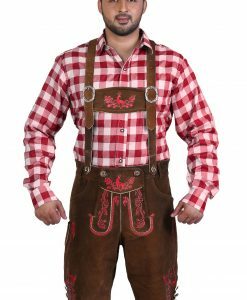 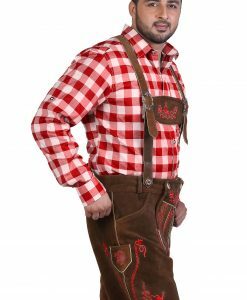 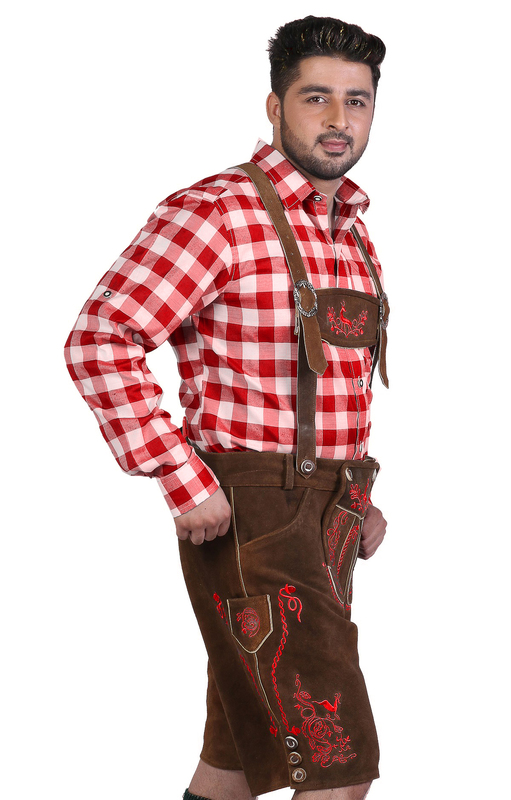 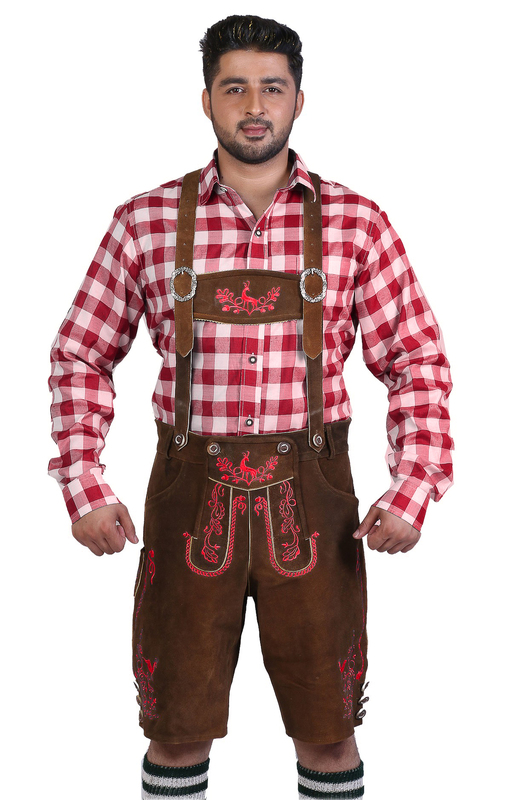 These trendy authentic lederhosen in Brown Red are made from 100% suede leather. 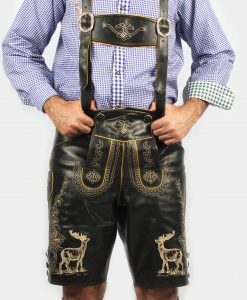 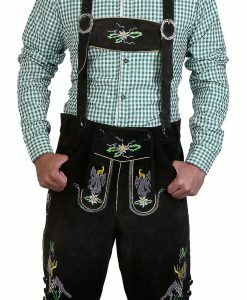 Completely modern with antique charm, these Bavarian short lederhosen feature explicitly decorative embroidery on bib, on unique knife pocket, on leg sides, and on the front. 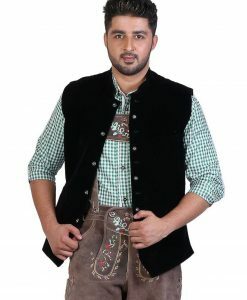 The dark brown color of high quality leather with electric Red embroidery details, horn buttons, the bib and the waistband adds an authentic touch. 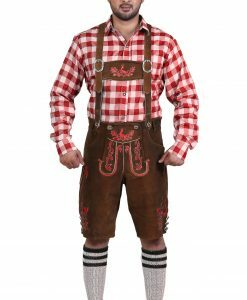 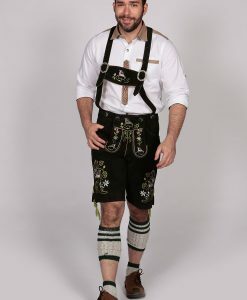 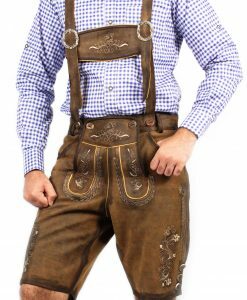 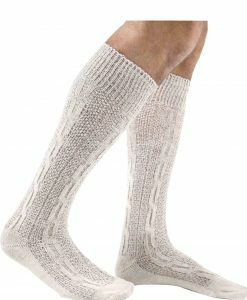 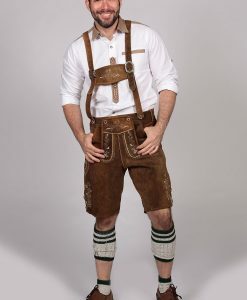 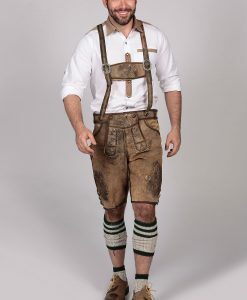 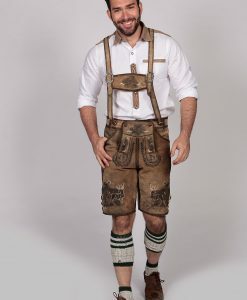 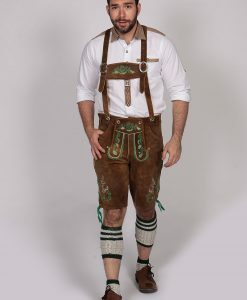 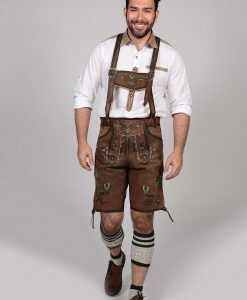 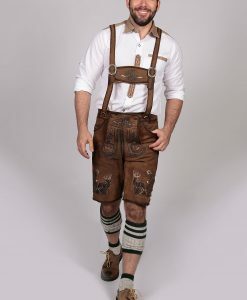 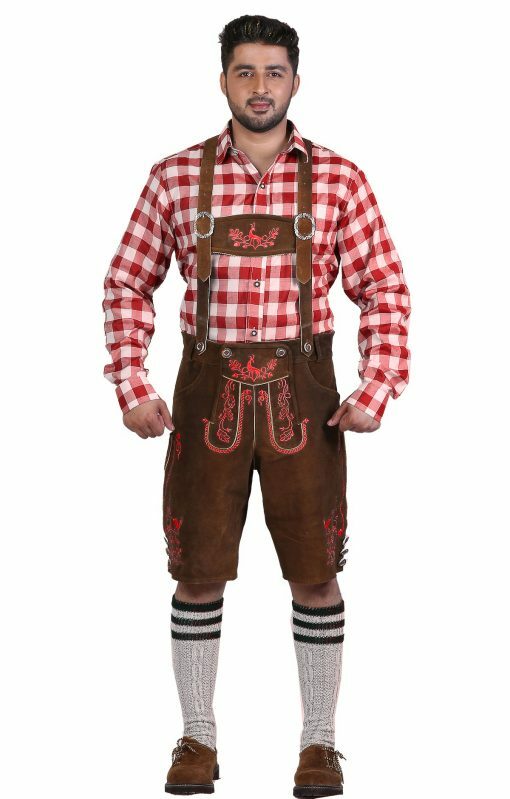 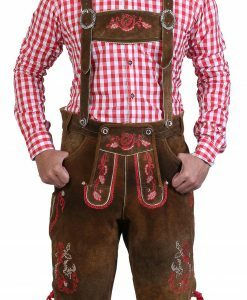 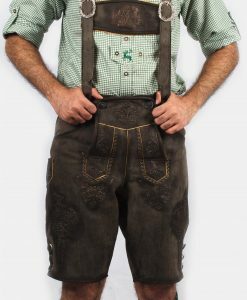 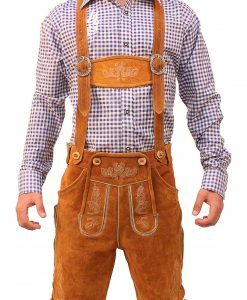 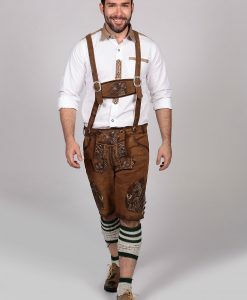 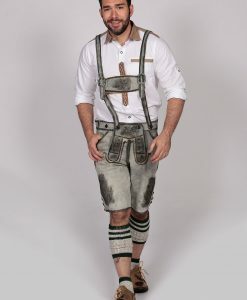 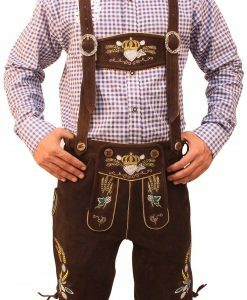 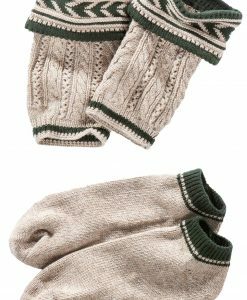 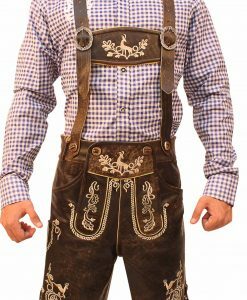 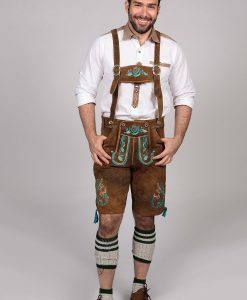 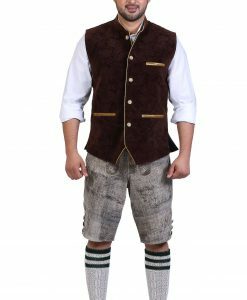 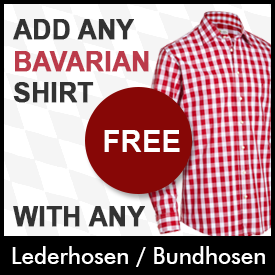 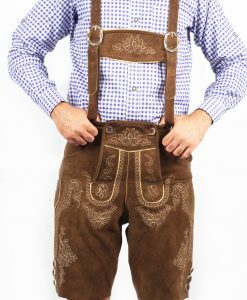 You can wear these German lederhosen with or without lederhosen suspenders, as the adjustable straps are there to give you the perfect fitting. 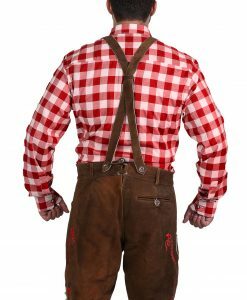 You deserve to standout in an Oktoberfest outfit so get into these trachten with a clue checkered shirt from our online shop.